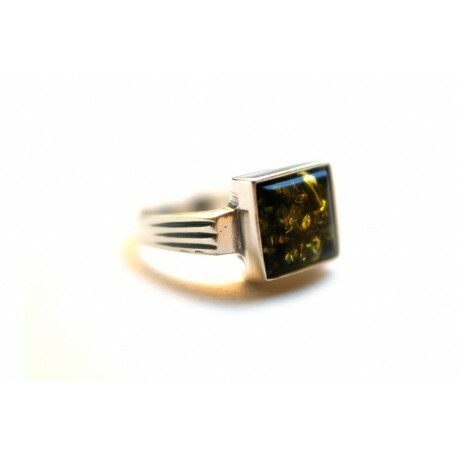 A regular green amber tetragonal in a strong field of silver. It is a ring for those whose lives run in a wild speed. It will provide you with tranquility and calmness.